Where Dance meets community - Hudson Dance Studio! 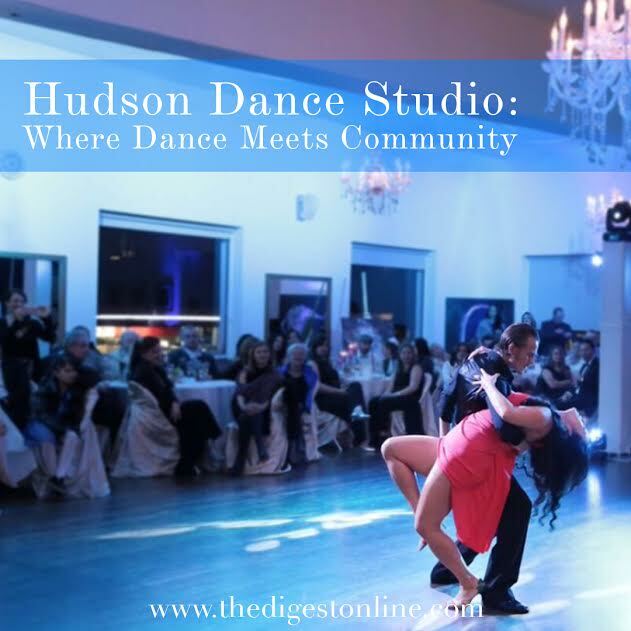 At Hudson Dance Studio in Edgewater, dance is considered a lifestyle, and since their opening in 2012, the mission of the studio and artistic director Jevgeni Davidov has been to transform lives through dance, improving every member and student on a physical, emotional, and social level. “It’s a great opportunity for social contact. You can come to relax, detach from your cellphone or work, and enjoy the person-to-person contact. I tell my students it’s like learning a new language, a nonverbal one of course.” The studio offers classes ranging from Salsa, Bachata, Cha Cha, Swing, Lindy Hop and Argentine Tango, all of which are taught by expert dance instructors that Davidov chooses himself. You can sign up for private lessons, group classes, master workshops, or even join in on competitions, all levels of experience are welcomed. Davidov himself grew up in Russia, and started his Latin and Ballroom career at the age of five, performing in numerous competitions throughout Russia and Germany. In 2014, he was named the U.S. Argentine Tango National Stage Champion and he has been combining the world of competitive, sport, and social dance ever since. “There are many reasons for people to start dancing. I like to summarize those with the words: fun, fitness, friendship and romance. Dance is a great hobby to have; it is a fun way to escape your daily stress and routine. Besides learning a new skill, you also connect with others and develop friendships. Learning to dance is not a competition, but simple, fun and improvisational. It focuses on being social as supposed to impressing others. Dance makes you happy, overall.” The studio serves as a creative outlet, one that can help in relieving stress, a place to channel your energy and even pick up a new hobby. Aside from adults, students also range from children and teens who can learn Ballet, Jazz, Latin, Ballroom and Hip Hop. Part of what makes Hudson Dance Studio so special, aside from its spacious interior and Manhattan views, are the people and passion behind it. The studio offers a free introductory lesson for first time students, a private one-on-one session with an instructor who will evaluate and accommodate your needs, skill level, and direct you to which classes in the future would be best suited for you. Every Tuesday night at the studio, there is a Latin and Ballroom dance party with workshops from 7:30 p.m. – 8:30 p.m. and then a party which includes staff from 8:30 p.m. until 10 p.m., and every Wednesday night, there is “Milonga on the Hudson”, which is an Argentine Tango party that is run like parties in Buenos Aires, Argentina. Davidov believes that bringing everyone together, from members to instructors, is the key to forming relationships and building a dance community.